Game Zzed. 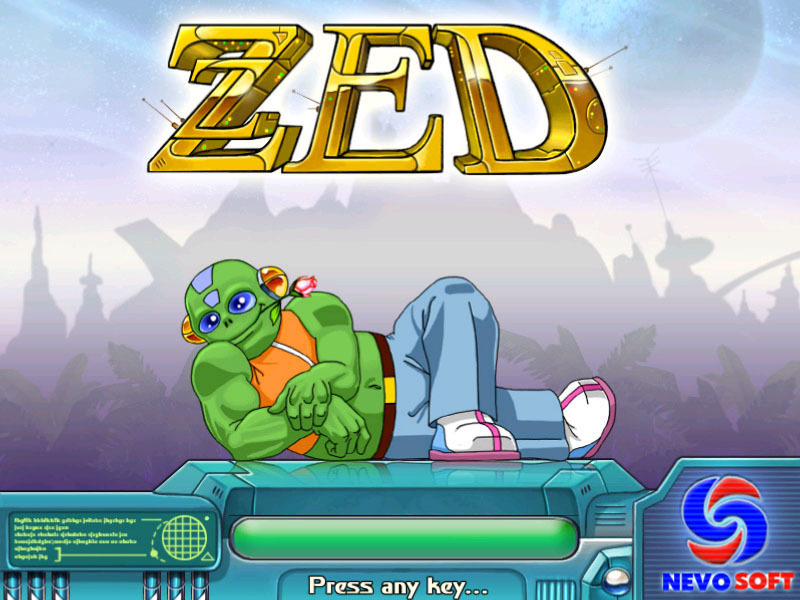 Download game Zzed for free at Nevosoft.Com. Description, walkthough of Zzed, buy game. 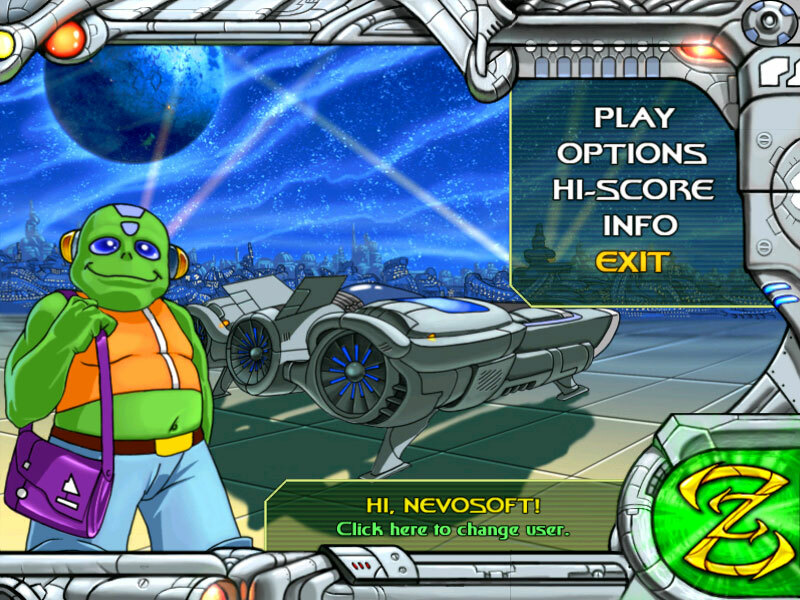 In Zzed, you have the dubious honor of collecting and destroying space garbage. All space junk is "color-coded", and in order to destroy it, you have to get 3 or more pieces of garbage of the same color stuck together. 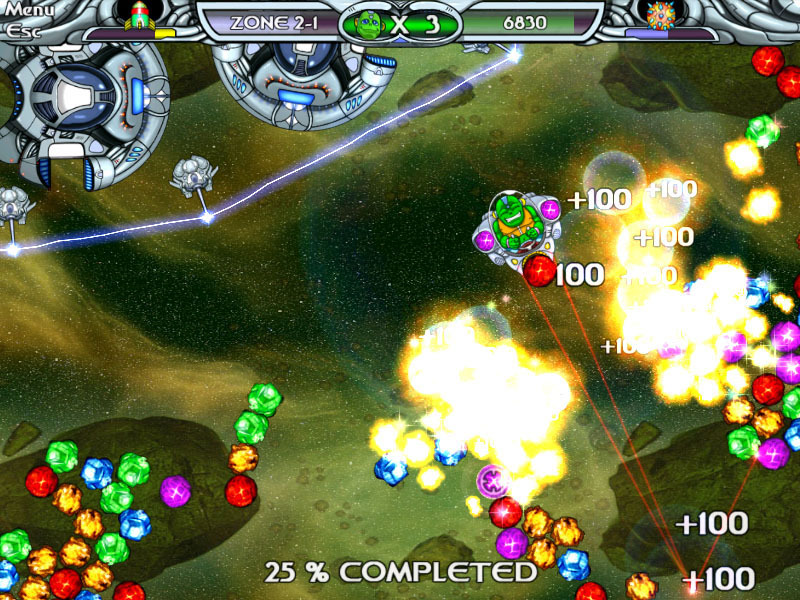 Blow up space junk to cool sounds effects and music in this addictive space-themed arcade-puzzle game.